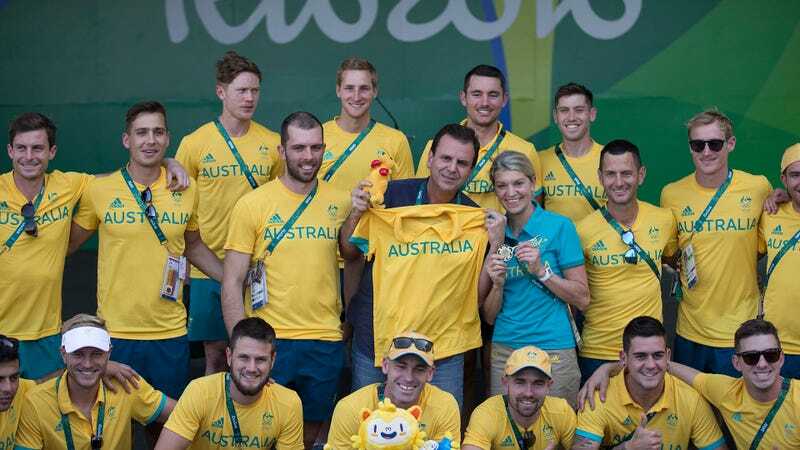 Olympic athletes continue to be victimized by crime and poor facilities—simultaneously, it would seem, as the Australian delegation returned to their lodgings after a fire to discover they’d been robbed. Computers and clothing turned up missing after Friday’s fire, which was investigated for arson. The Australian team initially refused to inhabit the athletes’ village owing to its being “uninhabitable,” though the team moved in Wednesday after being assured that “all defects” had been repaired—except that during the blaze, the delegation realized the building’s fire alarms were disconnected. The athletes victimized by the theft have not been identified.